Random restaurant. Other place was full. Flamboyant head waiter brings entire blackboard as menu. 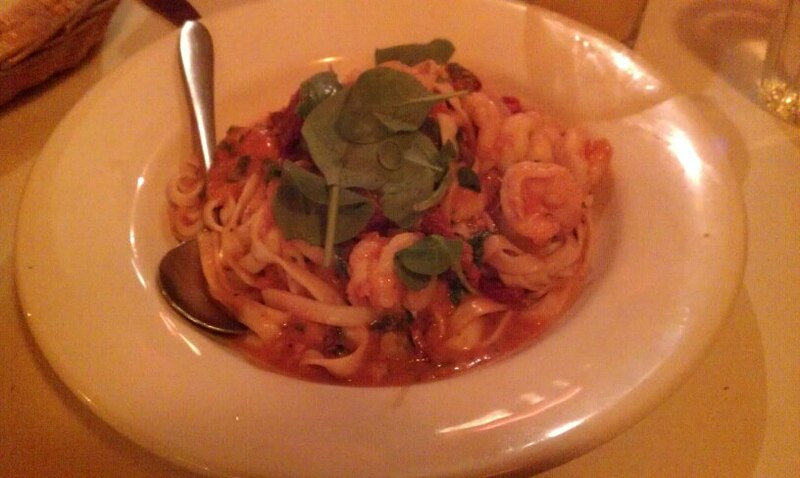 Pasta in cream sauce with prawns, baby spinach, and dried tomato. Slightly on the heavy side, but that’s understandable for pasta. The pasta was perfectly done, and the cream sauce was smooth and tasty. The prawns were cooked to perfection, and not too numerous. These people have clearly made pasta before. 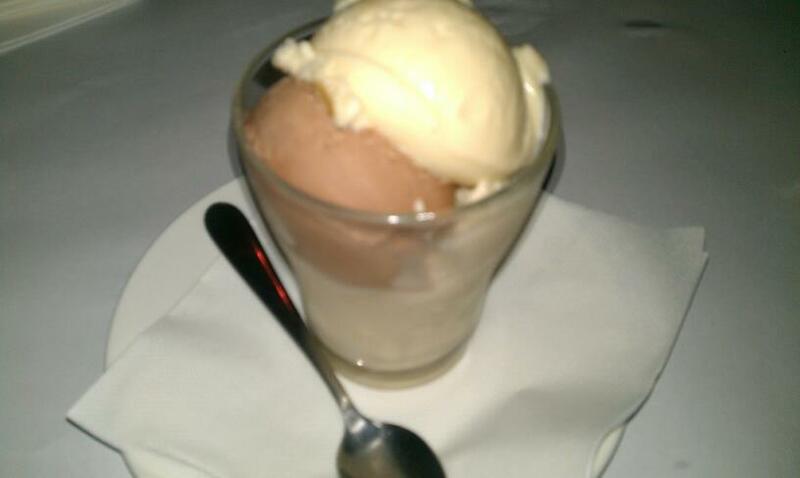 Coppa (cup) gelati - banana, baci, and apple pie flavours. The banana and baci scoops were just your typical gelati, but the scoop of apple pie gelati underneath was like refined essence of apple pie, in gelati form. It had such a strong apple and cinnamon taste, that you almost wouldn’t know you were eating gelati. I’d rate the flavours 5/5/9.